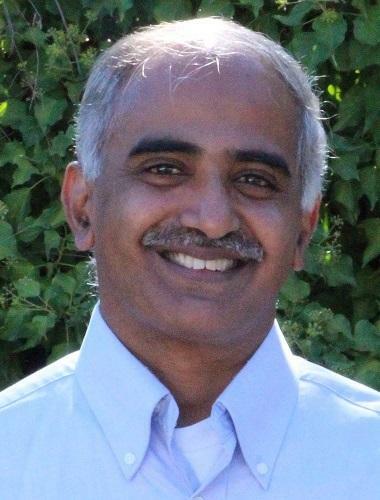 Netskope co-founder and Chief Scientist, Krishna Narayanaswamy. It has been almost a year since Cloud security vendor, Netskope, took aim at the Australian market. Since then, the vendor has been making new strides in getting customers on-board as ‘proof of concept’ and has also hired Tony Burnside as its APAC channel and alliance director based in Melbourne. Burnside was previously responsible for the vendor’s expansion in New England - northeastern US, and was based in Boston. Prior to joining Netskope, he spent about eight years with Aruba Networks and also worked at Juniper. Netskope A/NZ regional sales director, Yu Jing Cheng, said Burnside’s main aim will be to continue its strategic alliances with local resellers and international partners like Dropbox and Microsoft. “We don’t transact business directly with our customers, we will continue to work through our channel,” Cheng said. It has a two tier go-to-market program in place and Cheng said it plans to have some certification and will invest in training for partners, deal registration and other incentives. “We also have a professional services organisation, and we will offer that to our partners,” he said. Netskope’s technology can also extract user behaviour and usage patterns, which Cheng said the data is available to partners to help them innovate beyond the Netskope solution. “They can add value by taking the data and building services on top of what Netskope provides,” he said. Netskope was born about three years ago and co-founder and Chief Scientist, Krishna Narayanaswamy, was also recently in Sydney. As Narayanaswamy explains, he had a personal desire to build technology that was useful. “What happens in large companies is that you tend to be bogged down with so many existing customers and existing products, the focus is on keeping customers, and the focus on new technology is often lost,” he said. So far, it maintains about 200 global customers. Narayanaswamy said it has been selling its Cloud security solution for about two years, witnessing customers across healthcare, financial services, retail and manufacturing as being some of its largest adopters. He observed certain changes and trends such as mobility and as-a-Service offerings taking hold of the market. “We were observing that enterprises were heading towards SaaS, IaaS and PaaS type applications, rather than homegrown applications hosted in local datacentres, and we were wondering what’s happening with all the security that has been purchased for the datacentre,” he said. “It doesn’t become irrelevant right away, but in time, as these trends continue, all the security purchased for the datacentre, will become irrelevant. According to the February 2016 Netskope Cloud Report, on average enterprise employees use 917 different Cloud apps within a given organisation. It also pointed out that 4.1 per cent of enterprises have sanctioned Cloud apps laced with malware such as trojans, viruses and spyware. Unsanctioned apps represent about 95 per cent of an enterprise's Cloud app footprint, with report findings indicating that IT may have a larger scope of Cloud app-based malware than initially thought.